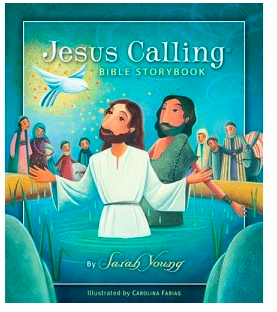 We were recently blessed with a new Bible Storybook, Jesus Calling by Sarah Young from the people at Family Christian. We have been sitting down and reading it with our toddler and we all are pretty pleased. The thing that pleases me most is the length of the book, I was extremely pleasantly surprised when I unpacked it. Most storybook bibles contain 10 or so stories from each testament but leave a whole lot out. This book seem to touch on all the major story arcs from the Old Testament and provides a comprehensive overview of the New Testament. 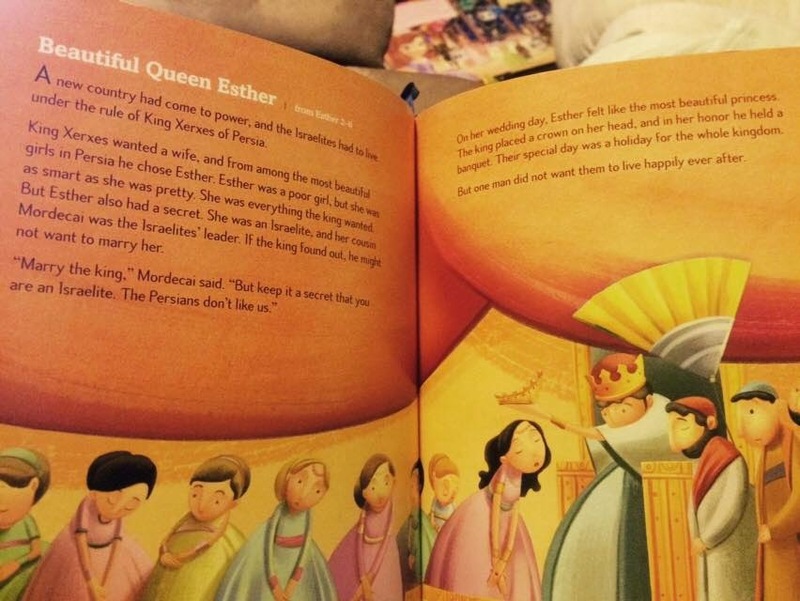 I love that when the older children are reading a specific passage from their children's bibles, I can usually find the comparable story in her book, at her level. On a superficial level it is a lovely book with bright and engaging illustrations. Evie loves to go through a point out all the little details in the background, and I am sure the pictures are most of the reason that she will stay engaged. 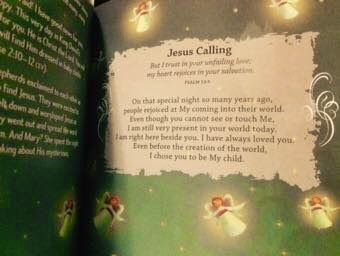 I also love the little "Jesus Calling" section at the end of each section. They really serve to condense the major teaching point of the story into a comprehensible nugget for a toddler. Evie favourite feature seems to be the ribbon bookmark, which she tries to use as a leash to drag it all over the house, but I guess there is no accounting for taste. Overall I am very please with this book and it will definitely hold a premium spot on our Bible shelf and a frequent place in our story rotation.